Several years ago, we had the honor of photographing Dan and Kara’s wedding. It was a beautiful ceremony on the shores of Lake Michigan. 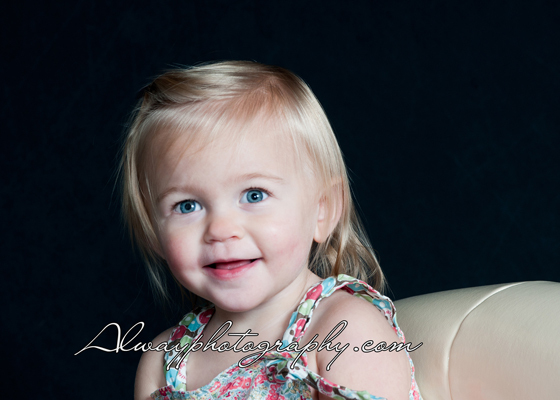 We recently photographed their first child, Alexis. 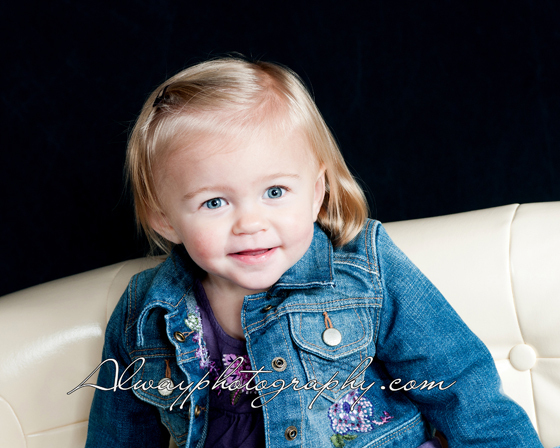 She was quite adventurous around our studio but really enjoyed our retro children’s couch. 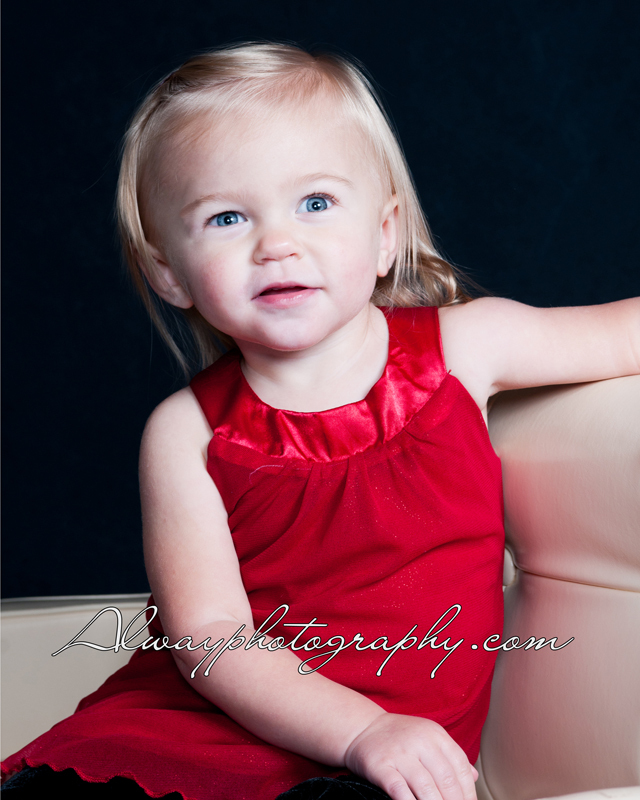 Winter is a great time to bring the kids in for their annual portrait. Remember, they are only little once. Trust those precious memories to a professional.